Even though the petition to the Armed Services Committees of the Senate and the House closed on May 24, constituents of the members of the two committees can still lend their voices to the effort to prompt a new investigation of LaVena's death by contacting those legislators directly. Reprised below is contact information for those legislators: links to their contact pages, and pop-up links to their numbers and addresses. If any of the information provided is out of date, please reach me via the contact page on my personal website, and I'll correct it. Thanks. I deeply hope that the US military and government do the right thing by your child and launch an investigation...you are in my prayers! This is truly a terrible and heinous crime and I sincerely hope that peace comes to your family regarding this investigation. Is there anyone specifically on this list that I should contact, or should I just send a letter to all of them? DoveArrow, legislators seem to only want to hear from their constituents, so you should contact only those legislators on the list that actually represent you in Congress. A friend of mine wrote Hillary Clinton, figuring that even if she wasn't a Missouri senator, her serving on a broad committee like the ASC meant that her office would accept mail from people outside her state. His email was rejected. 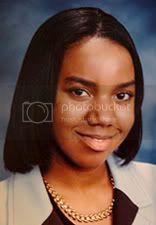 "Another course of action which I had suggested to someone in comments at the Lavena site involves contacting media sources of varying types - newspapers, TV news departments, talk shows on radio and television - to spread word of LaVena Johnson's case. These could range from your daily paper to the Army Times, from Dateline to 48 Hours to National Public Radio, from Oprah Winfrey to a local radio call-in show. (I have found that local radio programs have been more interested, on the whole, than some other media - not sure why). Also whatever organizations you thing would have an affiliation for or interest in this case. Those organizations could be civic, social, military, religious - if you believe LaVena's story would be of any interest to them, they are worth contacting. "Finally, I would suggest simply sharing this story with people that you know - friends, family, coworkers. The more real people who hear about this, the more ideas will be generated, I think." I hope this is helpful. You may come up with ideas that haven't occurred to me. Thank you! One of my senators and one of my representatives sit on the committees. I have written. Pfc. 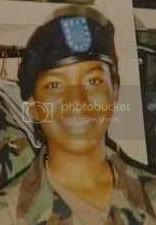 LaVena Johnson and all women this and other sexually based crimes have been committed on in the military deserve justice. It is interesting that this news story is not heard on corporate TV. Thanks to Democracy Now! for airing a very comprehensive piece that I watched online. My heart goes out to LaVena's family. To have to endure the death of their beautiful daughter along with the knowledge that she was murdered and then the murder covered up by our own United States military is more than any family should have to live through. I hope for justice for LaVena and all women in our military who are abused and assaulted and live in fear of coming forward. Things must change for women in this country. I will write to my senator Carl Levin today about this case and getting justice for LaVena.